Nissen Chemitec America values the community and environment of which we are a part.With that in mind, a dedicated group of individuals formed what we call, “The Green Team”. Their goal was to develop business practices and processes to eliminate or reduce waste streams, and create a recycling culture that involves all NCA associates by February 1, 2007. Through employee training and support of management, the Green Team implemented an employee driven recycling program that includes cardboard, paper, aluminum, and plastics. In doing so, they were able to reduce the waste output by 43%. In turn, the monies earned from the recycling program are earmarked for employee incentives such as holiday meals and gifts as well as donations to local charitable organizations. Nissen Chemitec also has a robust recycling program in place for engineered plastics, oil and other recyclables in order to decrease our impact on our environment as well as decrease business costs. 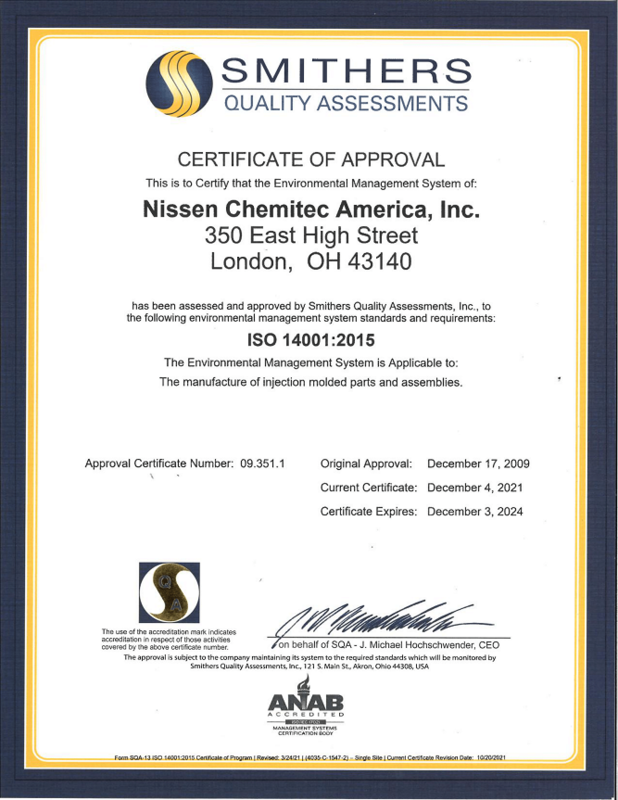 ALL CONTENT AND IMAGES ARE COPYRIGHT © 2013 NISSEN CHEMITEC CORPORATION LLC. Designed by 3D Enterprises, Inc.